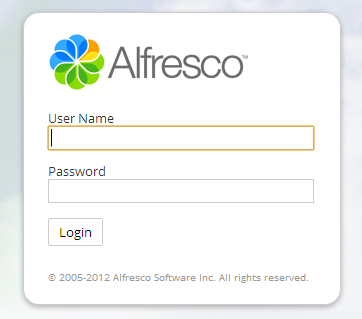 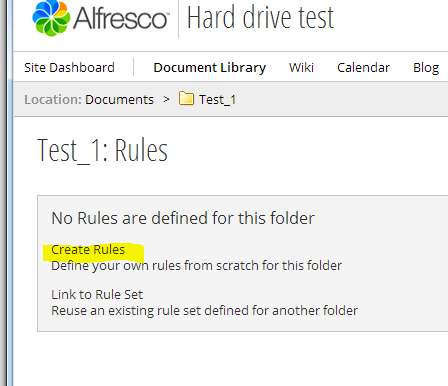 This document goes over how to set up easy auto versioning of your documents in a folder in Alfresco share 4.2. 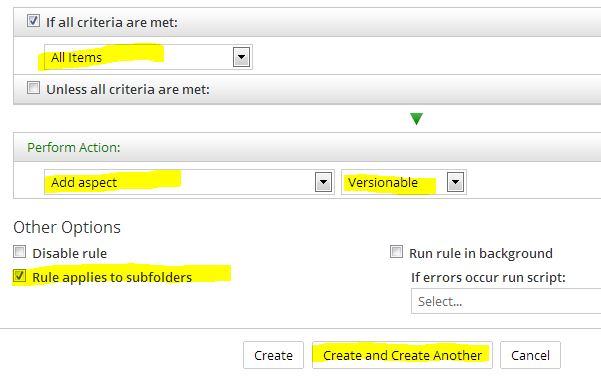 This solution will auto version files in a given folder. 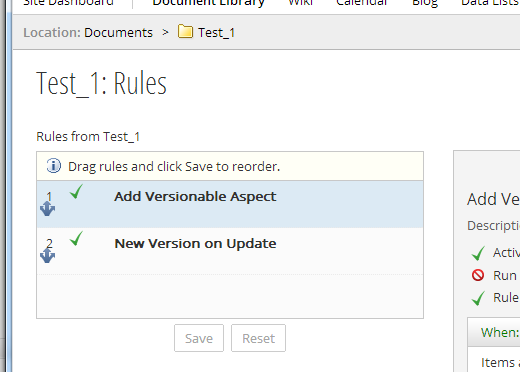 Then go to a site you want to version documents on and select ites document library. 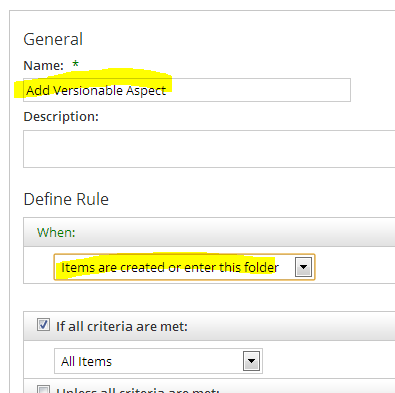 Select the folder you want, click on more then Manage Rules. 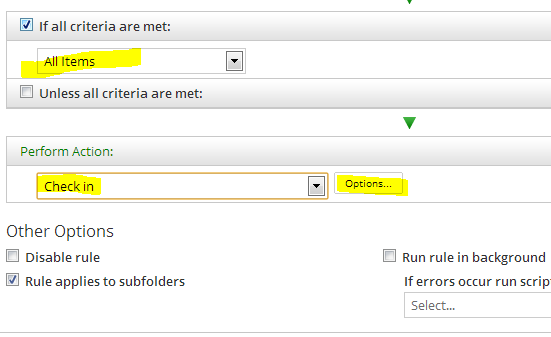 Check box “Rule Applies to subfolders then click Create. 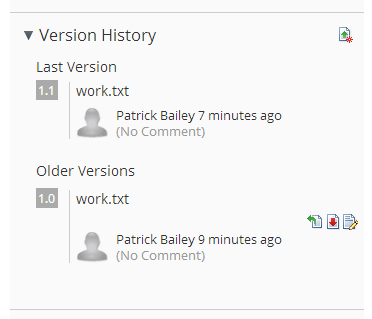 There you have it now anything added to this folder will be auto versioned. 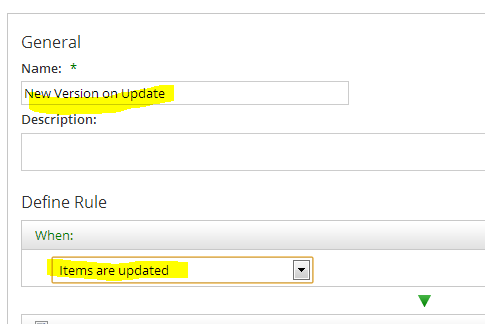 Now if you are using something like AlfrescoSync as you update files on your system the sync will add new versions vs just deleting the old and replacing them.